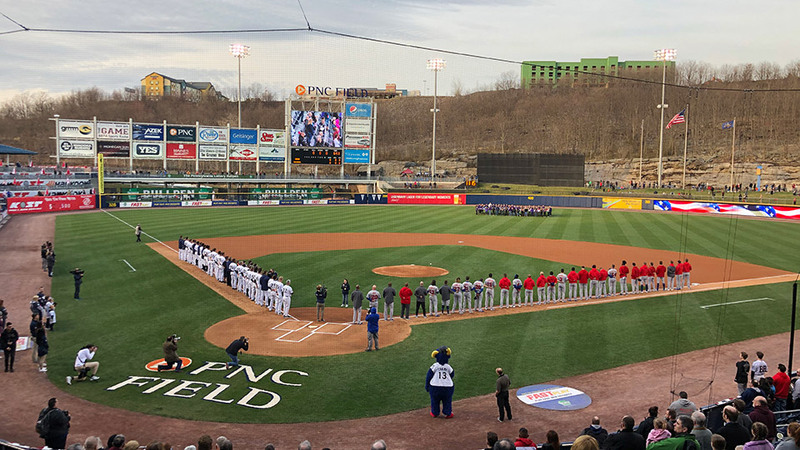 Scranton/Wilkes-Barre topped Buffalo 9-8 in 10 innings in the 2019 home opener at PNC Field. MOOSIC, PA (April 11, 2019)- It's not often you get the chance to win a game after watching a seven-run lead slip away, but the Scranton/Wilkes-Barre RailRiders walked off with a 9-8 win over the Buffalo Bisons before a sellout crowd of 10,000 fans on Opening Night at PNC Field. The game was tied 8-8 entering the bottom of the 10th inning, with Billy Burns at second base as the pace-of-play runner to begin the inning. The first batter struck out in the inning, but with pinch-hitter Mandy Alvarez at-bat, Derek Law threw a wild pitch to the backstop to allow Burns to advance to third base with one out. The next pitch, Alvarez laced a liner off the glove of Law and as it trickled on the grass behind the mound, Burns raced home for the game-winning run. The RailRiders raced out to a 4-0 lead in the first inning, nearly knocking Buffalo starting pitcher Shawn Morimando out of the game after a 38-pitch frame. Instead, he returned for the second inning and eventually pitched into the third where he saw his team fall behind 8-1. Some of the offensive highlights on the evening to propel the offense for SWB were Trey Amburgey (2-for-6, 2 R), Mike Ford (2-for-3, 2 2B, 2 RBI, R, 2 BB) Ryan McBroom (2-for-5, 2B, R) and Gosuke Katoh (2-for-4, HR, R, 3 RBI, BB). The win went to Cale Coshow who came out of the bullpen and tossed 2.0 innings of scoreless, hitless ball while striking out four batters. A caught stealing began the top of the 10thinning and he posted an effortless final two outs in the inning to set up the Alvarez heroics in the bottom of the inning. 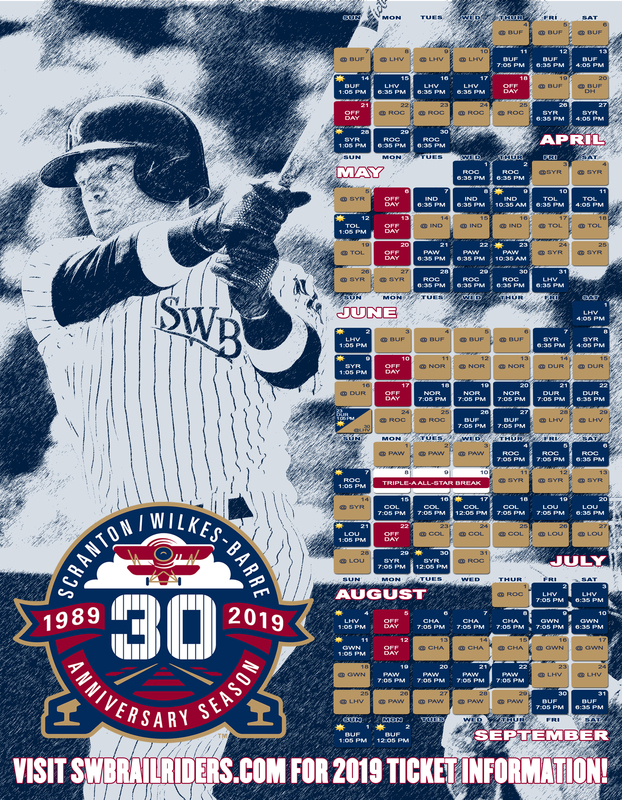 It was the first extra-inning game of the year for either team, and Scranton/Wilkes-Barre is now 15-16 in Home Openers since the franchise began play in 1989. The RailRiders and Bisons lace it up again Friday night with a 6:35 p.m. first pitch. RHP David Hale (1-0, 1.59) is set to build off his first start of the season against the Bisons as he goes up against RHP Sean Reid-Foley (0-0, 24.00). Pregame coverage begins at 6:05 p.m. on the RailRiders Radio Network with Adam Marco and Adam Giardino.